Students must already have a high command of Spanish to be able to follow these subjects (i.e. have passed level B2.1 (CLM - 6 Advanced)). 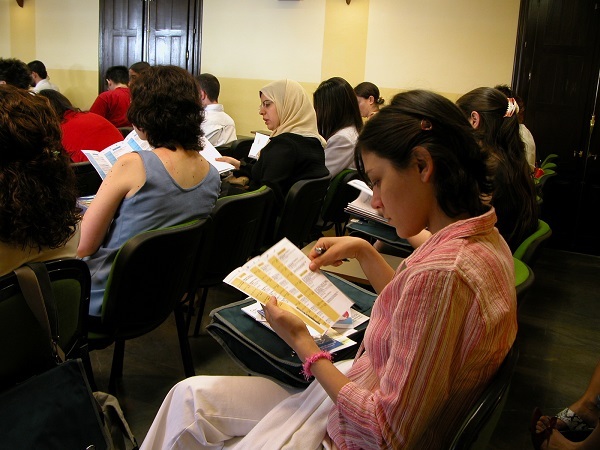 For this reason, CLM always recommends students to take an Intensive Spanish Language Course (CILE) before beginning the Hispanic Studies Course. The CEH Course is taught in two periods - from October to December (Fall) and from February to May (Spring). Students can choose the first period, the second period or both (the Complete Hispanic Studies Course). Students in this course can choose four or five subjects offered by CLM for each period. One of these subjects may be a Modern Language Course offered by CLM. Depending on students' needs and the length of their stay in Granada, they can take some of the subjects from the Optional January Course. Each subject on the Hispanic Studies Course has 45 teaching hours and a regular weekly timetable in line with the general schedule programmed by CLM. Students may enrol in additional subjects to further their studies if they wish. Students who successfully complete both periods (10 subjects) are entitled to receive the Diploma in Hispanic Studies. Students must be at least 16 years old and have finished high school or compulsory secondary education. The registration forms can be downloaded from our web page (www.clm-granada.com). To reserve a place, the appropriate registration form must be filled out and sent to the CLM Secretariat together with a copy of payment (covering the registration fee, an instalment or the course fee depending on what is required for each case). Payment should be made in euros by bank transfer to our current account and made payable to the Centro de Lenguas Modernas. Please ensure that the student's name is clearly indicated on this transfer. CLM will only recognise as payment the amount received therefore students must meet any bank charges incurred.Payment can also be made over the phone by giving your credit card details. Some courses have the option of online registration and payment. The total fee of each course (registration + course fees) must be paid before students take the level test (except the CELE course). Without full payment, students cannot start their course. Students who register online for the CELE course pay once they know their level test results but before choosing their group and timetable. Discounts only apply to the courses mentioned and provided they are booked for at the same time. Since the number of places on any course or subject is limited for pedagogical reasons, CLM may close the official enrolment period earlier than anticipated, once all available places have been filled. Admission is carried out strictly according to the order in which registration forms are received. Thus, in order to guarantee a place, students should register as soon as possible. However, if places are still available, students can register up to two days before the level test. In the case of courses involving different subjects, the chosen options and group should be clearly marked on the registration form in order to guarantee places. Students can check which groups are available from the timetable published on the CLM website (only CEH and CLCE). Students must take a compulsory level test on the day specified in the course calendar. For some courses students are required to have a certain command of the language which they must demonstrate in the level test otherwise they will not be able to enrol on the chosen course. Those students who do not pass the level test for the Hispanic Studies Course or the Spanish Language and Culture Course can enrol on a different course. 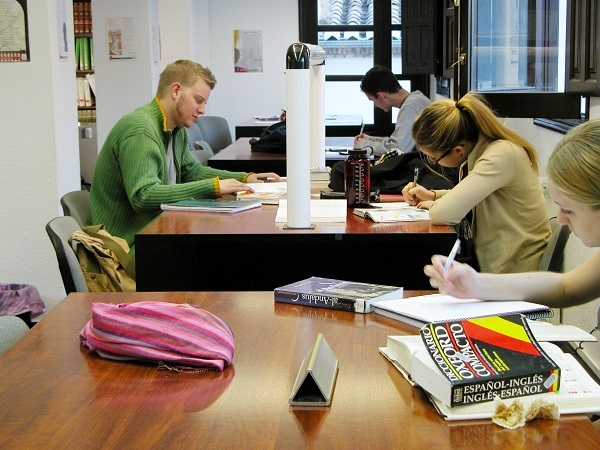 The level test lasts between 2 and 3 hours (3 and 4 hours for the Hispanic Studies and Spanish Language and Culture Courses) which are not included in the total number of teaching hours. Once the results of the level test have been published, students have two days to fill out their enrolment form in the Secretariat. Students must provide a photocopy of their passport and two recent passport-sized photos. CELE students who have registered online should upload the required documentation. In CEH and CLCE, students have five days starting from the first day of the course to make any necessary changes to their enrolment. In the case of CILE and CILYC, the dates for any changes are as follows: 40 hrs course: first two days; 60 hrs course: first three days; 80/90 hrs course: first four days. In the CELE course, students have one week to change. N.B. If changes to enrolment in the Hispanic Studies Course or the Spanish Language and Culture Course mean that students are registered for fewer than four subjects, these subjects will be charged as individual subjects. Students who have attended less than 80% of classes will not be entitled to take the final exam. The final exams for subjects in the Hispanic Studies Course or the Spanish Language and Culture Course will take place in the final week of the course, in line with the official CLM calendar drawn up by the Director's Office. During the exam week there are no classes. Exams may not be taken on any other date. The deadline for requesting revision of exams and grades is the last working day of the academic year. The final exam for CILE and CELE takes place on the penultimate day of the course. CLM is closed on Saturdays and Sundays. On national, regional and local public holidays, no classes will be taught and the hours will not be made up. This scale of grade equivalencies is recommended by the University of Granada but the final interpretation will depend on the university recognising credits. REGISTRATION FEE: Only when a course or level is cancelled by CLM will the student be eligible for reimbursement or be offered the possibility of transferring this fee to another course programmed in the same academic year. COURSE FEE: The course fee will only be reimbursed in exceptional circumstances and, provided that the student presents a written request together with the necessary documents justifying cancellation during the first week of the course. CELE students have two weeks. If the student wishes to cancel the course once started for a justified reason (supporting documents required), 80% of the hours paid for and not taken will be refunded. Refusal of a visa or equivalent application is not considered a valid reason for reimbursement. However, in this case the fee may be transferred to another course programmed in the same academic year. All discounts will be lost on reimbursements. Reservation and enrolment certificates . These will be issued a minimum of one week after the date of request. Grade certificate/transcript. This document states the number of course hours, the level reached and the grade achieved. This certificate is issued on the completion of each course at CLM (CILE, CEH, CLCE, CILYC, CELE, etc). Diploma in Hispanic Studies. Only students who have taken a total of 10 subjects (CEH Fall and Spring or CLCE Fall and CEH Spring) are entitled to this diploma. In order to receive any of these certificates, students should fill out a request form in the CLM Secretariat. Students may request a maximum of two certificates per course: reservation and grade certificates or enrolment and grade certificates. Specific communication or notification relating to the student's course will be made by e-mail or telephone. Timetables, classrooms and other course information, together with activities organised by CLM will be published on the notice boards in the patio and/or the CLM web page (www.clm-granada.com). To take this course, students require prior knowledge of Spanish (i.e. have passed level B1.1, CLM - 4 Intermediate). (See specifications of level test). CLM recommends students to take an Intensive Spanish Language Course (CILE) in September or January before beginning the Spanish Language and Culture Course. Those students with lower levels of Spanish, between level A1 (CLM - 1 Beginner) to B1.1 (CLM - 4 Intermediate), can do the two obligatory subjects from Spanish Language (Speaking and Writing Skills and Spanish Grammar) and complete the rest of the course in English. Students who have successfully completed CLCE in English in the Fall semester in levels A2+ (Lower Intermediate) or B1.1(CLM- 4 Intermediate) may enrol for CLCE in Spanish in the Spring semester.